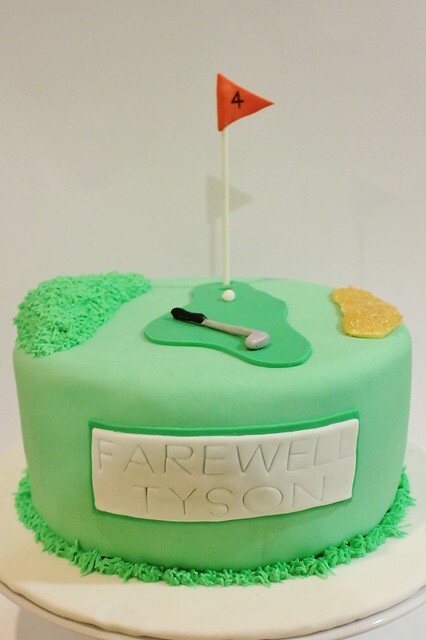 Here is a simple cake I made for Mr S's boss who was moving to another area at his work. 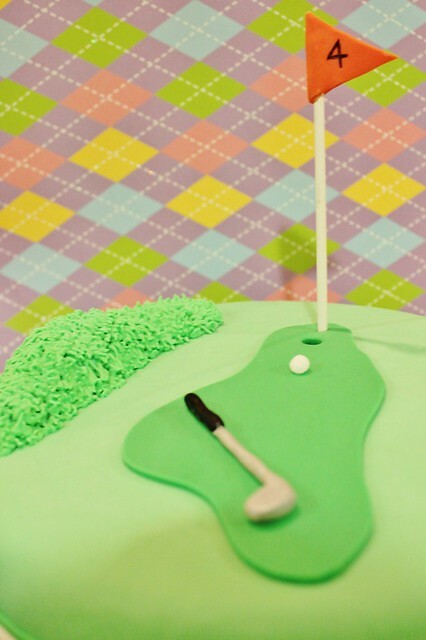 To make the golf club I covered a toothpick in grey and black fondant and painted the grey fondant with silver lustre dust mixed in with a tiny amount of vodka. 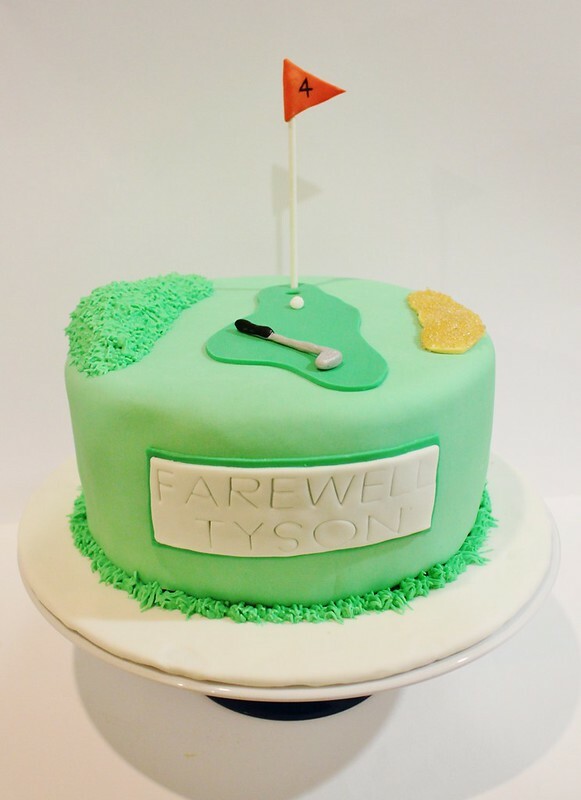 I didn't stick the golf club or ball to the cake like I usually would so that you could actually putt the ball into the hole...which is just what Tyson did apparently! Hole in one!